The world faces tremendous social and environmental problems. Despite global economic growth, 1.2 billion people still live in extreme poverty.1 More than 1.5 million children under five die from diseases that could be prevented by existing vaccines.2 One-fifth of the world's population faces water scarcity.3 More money will be needed to address these issues than philanthropic organizations and governments have at their disposal. Recognizing this challenge, they are seeking innovative ideas that leverage their resources. At the same time, private sector actors are bringing market-based solutions to the space, as they look to generate profits alongside social impact. Working together, these different actors can successfully deliver innovative, market-based solutions that address the problems facing poor and vulnerable people globally. An impact enterprise is one such promising solution. 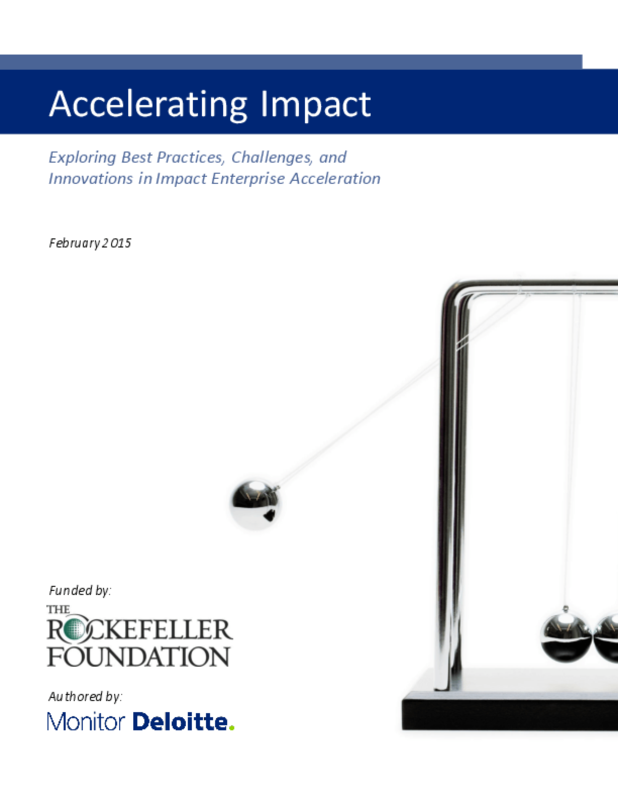 Impact enterprises are organizations that intentionally seek to grow and sustain financial viability, realize increasing social impact, and influence the broader system in which they operate.4 Collectively, they have the flexibility needed to adapt to the changing dynamics of problems and can deliver inventive and timely solutions.